I decided to make a new topper for our new 9-foot Christmas tree! I wanted to make either an angel or a star, and since a star needs to light up and that's really complicated I decided to make an angel out of random stuff in my craft room. First I took a long strand of raffia string (I decided this looks like rustic angel hair) and folded it back and forth, then stuffed it through a large wooden bead (which sort of looks like an angel's head, if you have an imagination like mine). Then I twisted a piece of gold rope against itself (this is the crown or halo), cut it and hot-glued it on top and trimmed the raffia to look like hair. For the body I made a cone out of white craft form. 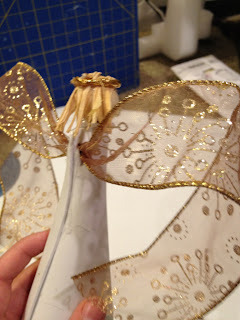 For wings I used a pretty piece of ribbon which I threaded through a hole in the back. I then bordered the hole with pieces of the same gold I used for the halo-crown to hide the ugly hole. Next I got out a bunch of coordinating white and gold trim and lace and decided to figure out how to decorate the body to make a dress. 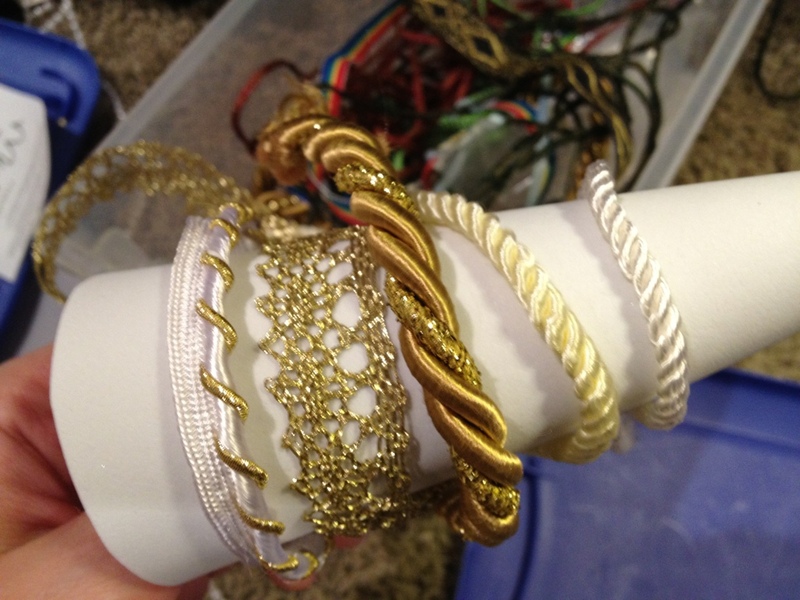 I made a bit of a mess. 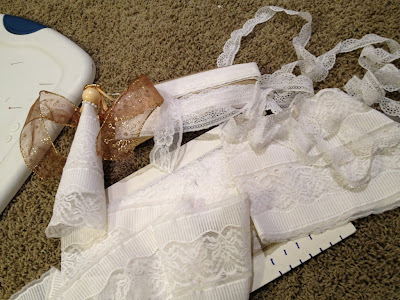 I started glueing pieces of lace over the white foam, starting with the bottom piece so the upper pieces would overlap like layers of a skirt. 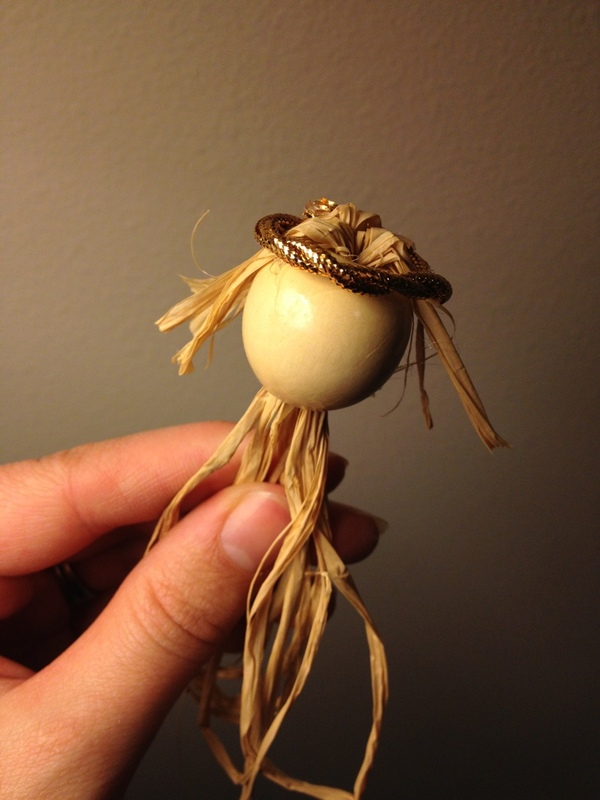 A strand of white "pearls" became a necklace for the angel. 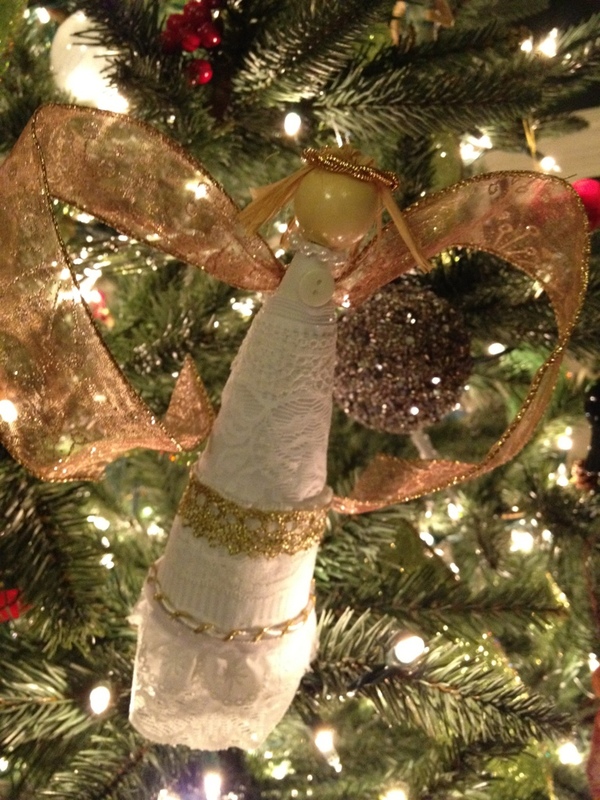 Here is the finished angel, as an ornament. I need a ladder to get her up on top of my tree!